VMworld Partner Day – I guess you could call it VMworld Day 0, or the “quiet before the storm”. That’s not to say that it’s an easy day mind you. Partner day for me is all about networking. Not the NSX / Cisco variety, but talking with and meeting people. 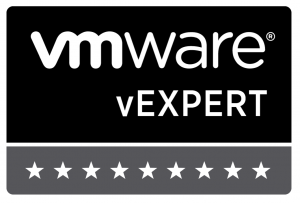 From former colleagues and VMware community members and VMware staff, all the way through to existing and potential partners for my employer, Xtravirt. It’s safe to say that I had some very good conversations. Monday evening was split between two networking events. The first was hosted by TD Azlan at the W hotel and attended by a number of VMware, Atlantis and Nutanix partners. It was a good opportunity to have some quieter conversations away from the hubbub of of the Fira centre. The second event was the PernixData party. Last year they selected an excellent venue and they managed it again this year. PernixData are also one of Xtravirt’s partners and besides a bit of socialising, it was good to meet a number of Pernix’s European staff and chat about the product.